After the bloody events in Paris, when journalists of Charlie Hebdo were murdered in the broad daylight, all across the globe numerous journals have been discussing who could benefit from this tragedy. In some countries (primarily Muslim) the manifestations against the provocative publications of controversial cartoons of the Prophet that mocked the religious feelings of all Muslims are still on the rise. 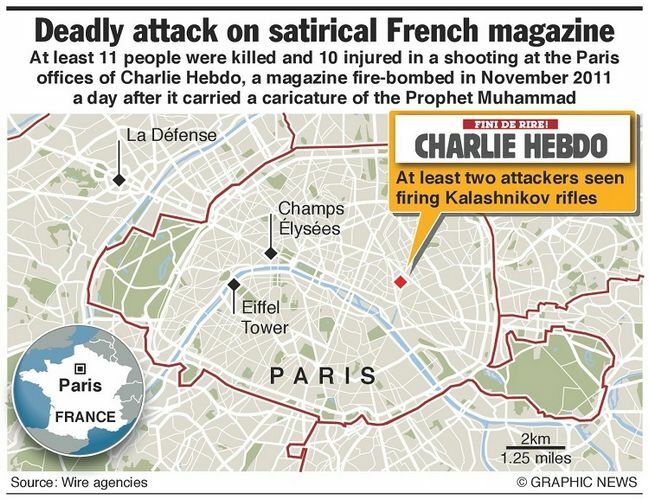 Some experts have linked these provocative anti-Muslim cartoons with the acquisition of Charlie Hebdo by the Rothschilds in December 2014, the latter of whom are constantly worrying about their profits. But now they can be fairly content since after these tragic events the number of copies sold increased tenfold. Another group of experts believes that the attack on French journalists was the result of direct actions of Western intelligence agencies. Therefore, the consequences of the Charlie Hebdo massacre can be compared to those of 9/11 attack, such as the tightening of security in Europe. These agencies have been seeking ways to create obstacles to the spread of Islam in Europe, along with obtaining legislative support to establish total surveillance over the activities and private lives of Europeans. Political elites behind such agencies believe that democratic rights, the protection of which has been the focal point of all populist political speeches in the West, should be narrowed. 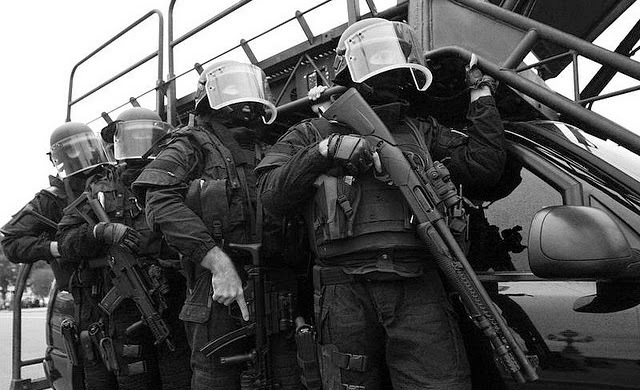 Police control in Western countries is increasingly intrusive with each passing day, as the growing distrust and discontent of the European population becomes more apparent. Western elites have failed to put forward comprehensive social and economic measures that could ease this growing angst, therefore an increase in political activity, anti-government demonstrations, and electoral control over ruling parties was inevitable. The recent two-day meeting of Foreign Ministers of the EU in Brussels, summoned to discuss the “urgent measures to strengthen the fight against terrorism.” can be regarded as damning evidence against Western elites. It was of little surprise for experts that the topic of these discussions was the adoption of a EU version of the US Patriot Act, that is used by Washington to control not only its fellow citizens, but “allies” alike. 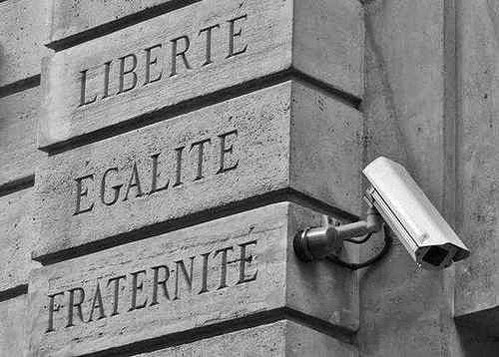 In an attempt to set an example to the rest of Europe, Paris took the first steps in the general tightening of a growing police state in Europe, by spending a week pushing the agenda for the urgent need of this new legislative initiative across national media. Ultimately, the French Patriotic Act was adopted last week in the form of a new anti-terrorism law, as it was announced by French Prime Minister, Manuel Valls. According to Waltz, “to strengthen security efforts” a total of 122,000 police and military officers will be mobilized all across France. In addition, France will create 2,680 new security positions over the next three years to “help counter the threat of Islamic extremism“. This threat is posed by 3,000 suspects in France and abroad, out of which 1,300 are living in metropolitan areas and have ties with terrorist groups in Syria and Iraq. The French government is planning to allocate a total of 425 million euros to fund this project. However, these figures sound pretty confusing, since it is hard to believe that France can put such security measures in place against the activities of a mere 3,000 suspects by introducing pretty much the same number of positions in the national security to watch after them, while spending 1,5 million euros per officer. However, Manuel Valls made it clear that, in addition to the fight against the “radicalization” of French society, which will take a hefty 60 million euros out of the budget, the new anti-terrorism law will increase the amount of surveillance over the Internet and social networks. He underlined that as a result of severe control over the social networks and personal correspondence of French citizens, national intelligence agencies have managed to flag more than 30,000 cases of “illegal” content. According to the new anti-terrorism law, the French secret services now have the right to carry out investigations in places of work and living of specific individuals that were found “suspicious”, while sharing the information obtained this way with the US and other allied countries. Thus, Paris is clearly following the lead of Washington in the use of a pretext of fighting against “radical Islam” and “terrorism” in order to tighten up national legislation by adopting a French version of the notorious Patriot Act. Somehow it doesn’t make Western intelligence agencies look less guilty as far as the attack on Charlie Hebdo is concerned. French authorities are now empowered to undermine thousands of opponents of Elysee Palace, along with progressive and pro-democracy organizations and parties, as well as members of the independent press, as has been done in the US. What follows will be other European countries putting on a similar totalitarian hat, by handing over the personal lives of their civilians to intelligence services, both local and American.